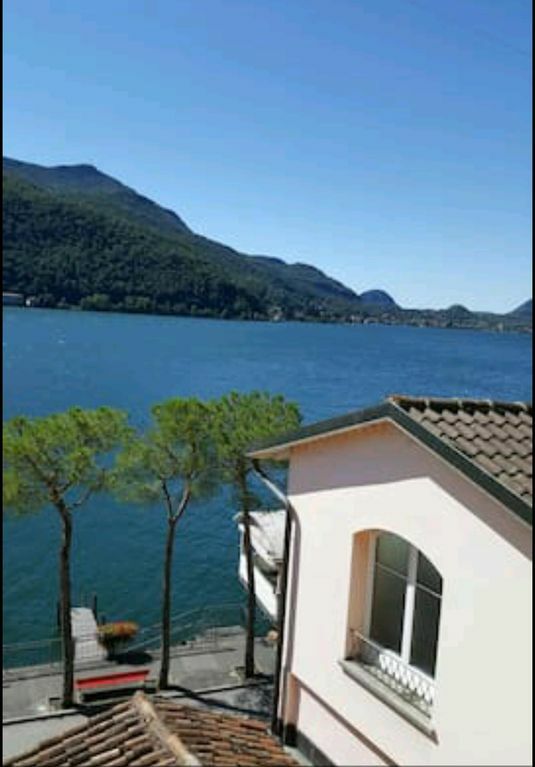 Spacious two bedroom apartment at the center of Morcote right opposite the lake.Its inside a historic 400 year old house which has been renovated and modernised.All sorts of amenities are provided.Souvenir shops and restaurants are at door step. Great place to have a dip in the lake. If you pass my building from your right side there are stairs which will direct you towards La Chiesa Santa Maria Del Sasso which is an old historic church. If you love hiking beyond that you will find a very astonishing hiking path which will take you to Vicania which has beautiful surroundings as well. The Building is Yellow and is located in between La Posta and a closed down 4 Star Hotel which is a pink coloured building.